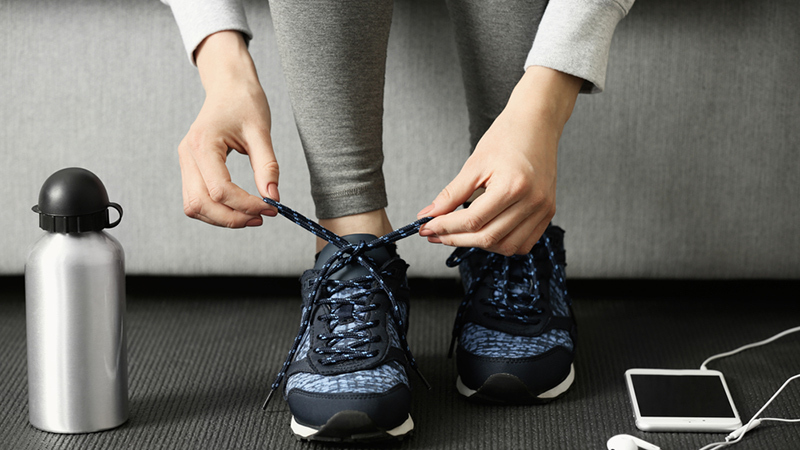 Whether you’re feeling like a couch-potato or are simply drained after a long, exhausting day at the office, sometimes it can be really tough to psych yourself up for a workout. Getting there is half the battle, and we all have those days where exercise is the last thing we want to do. The next time you feel like skipping a workout, try these tactics and get yourself excited and motivated. Psyching yourself up to go to gym is tough when you’re just not in the mood. But don’t you almost always feel amazing afterwards? Try to envision yourself post workout – you’ve got a good sweat on, you’re feeling hella good and those endorphins are flowing – and you may just get a twinge of motivation to get moving. Working out shouldn’t feel like a horrible chore. The goal here is to get you looking forward to your workouts. One way to do this is to think of your workout as “me time.” This is your moment to prioritize your health and happiness, and blow off some steam for the day. Consider taking a more wholistic approach to your workouts; for example, by balancing a gruelling bootcamp session with a proper cool down, which includes a good, thorough stretch followed by five minutes of meditation or mindfulness. These parts of your workout can be just as important as the workout itself, and serve as excellent motivators to get through the tough stuff. Promise yourself a reward if – and only if – you complete your work out. The reward doesn’t have to be big. It could be watching your favourite show when you get home, or enjoying a half-hour steam or sauna session afterwards. If you’ve got specific goals that you’re working toward, feel free to treat yourself when you’ve reached them– whether it be with a new outfit you’ve been eyeing, a mani pedi, or a well-earned glass of red wine at the end of the day. (Just make sure you don’t fall into a bad habit of rewarding your workouts with junk food – this will encourage a psychological dependence on certain kinds of foods and derail your progress.) Rewards are important and make us feel pampered, so treat yourself for a job well done. A workout buddy can be a great way to get and stay motivated. Not only do they help make you accountable (it’s harder to bail when your friend is counting on you), but getting fit with a friend adds a fun, social element to your day. Motivation is contagious, so try to find a pal who is enthusiastic about fitness, and revel in your sweat sessions together. Getting psyched for a workout can be as simple as reminding yourself of why you are on this fitness journey to begin with. Perhaps you have an athletic event or a race you’re training for; maybe you simply want to look amazing in a bikini for an upcoming vacation. Whatever it is, keep your eye on the prize. Remember your goals – and how far you’ve come. Got your sweatpants or pyjamas on already? Change into your gym clothes and tell yourself that any workout is better than none. It’s okay if today isn’t necessarily your day; sometimes, the goal is to simply show up. Chances are that once you get to the gym and start moving, you’ll find the momentum to keep going. 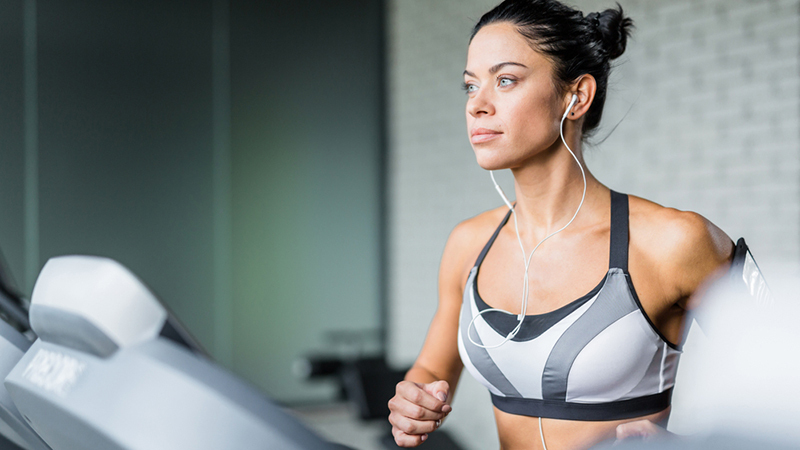 Music can be a huge motivator, so if you find yourself getting sick and tired of the same old routine, try switching up your gym playlist. Choose upbeat songs with rhythms that you can really move to, and visualize yourself pushing it harder and faster along with the music. It’s 6 AM. Your alarm goes off, and – groan – you can’t imagine having the energy to get up and work out. 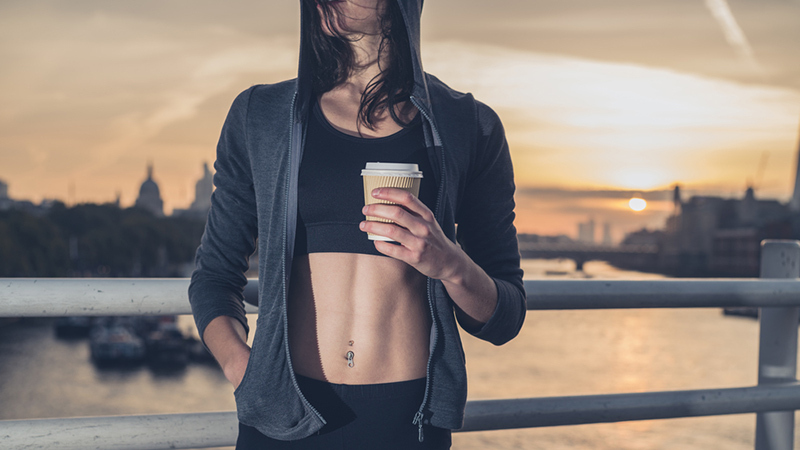 We all need a little jolt every now and again, so if you feel like you’re not going to make it through to your workout, have a cup of java. Caffeine can be a real motivator, especially on lethargic days or during early morning sessions; just don’t overdo it. Without a strict schedule, it’s easy to bail on a workout and say, “I’ll do it tomorrow.” Thankfully, this is no longer an option if you’ve signed up for a boutique fitness class or you’ve got a personal training session lined up. For those of us who really struggle with motivation, having a strict gym schedule that you simply cannot stray from is all it takes to get us to the gym. Still don’t feel motivated to get to the gym? Browse your favourite health-and-fitness Pinterest and Instagram accounts for some added motivation! From workout challenges and motivational quotes to inspirational photos featuring six-pack abs, social media is an excellent motivational tool. Remember: The only bad workout is the one you didn’t do, so get up and get moving! Working out with a friend or buddy is a great way to be accountable and motivate each other to exercise. If one works out with friends, someone will always push the other “slackers” along. Plus, it can be a bonding experience and create deeper friendships aside from creating a healthy competition. Great post!